From Shepherd's Bush, the annual stocking has arrived. 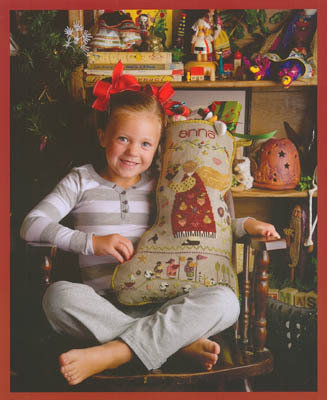 Her name is Anna and features an angel dressed in burgundy with a village scene at the bottom. This stocking uses seven #5 perle cottons from Crescent Colours and three from Weeks Dye Works.